The Scrappin Cop: CU OK Halloween Styles, Patterns, and Image Tiles! CU OK Halloween Styles, Patterns, and Image Tiles! Q: I have items in a store or on my blog using your CU Freebies! Do I need to take them down or remove them from the store? A: Of course not! I don’t expect designers to remove items that they may have used before I “changed the rules.” That would be completely unfair and unreasonable. And there were THOUSANDS of downloads of my CU freebies before I changed the rules. There is no way I can be assured a designer came back to my blog after she/he downloaded my freebies to even be aware of the new requirements after the download. I’m just saying, if you’ve read the new terms and are designing something new with old CU downloads – Use your conscience! I’m not going to hunt you down (probably – lol) and make you aware of the new terms. Believe it or not – I do have much better things to do! Q: I don’t sell my designs in a store but just give them away as freebies. Do I need a Commercial Use License? A: Technically, yes. Very few designers allow you to design freebies with Personal Use Only products. Am I going to hunt you down or call you out on it? No. Especially if you provide credit to me for the resources as required. That’s a wishy washy answer but honestly if you are giving things away out of the goodness of your heart for this fabulous digiscrap community I don’t want to discourage that! I know how expensive this hobby can be and will never break even with all of the programs, filters, hardware, etc. that I have purchased in the past two years to provide freebies. But I enjoy doing it! Also, it hasn’t been asked but if you want to use my freebies for tutorials (free or paid) you do not need to purchase a Commercial Use license. I just ask that you direct your readers to my blog for the downloads. Anyway, thanks also to Vaybs who explained how to allow anonymous comments on 4 shared. I do read all the comments on the blog, Facebook, 4 shared, and filesavr so don’t feel you must comment more than once! Now to the freebie! There are 24 glossy styles in halloween colors for Photoshop/PSE and also a pattern (.pat) set that is flat in the same patterns. And for those who do not use Photoshop or PSE there are 24 seamless image tiles in .png form that are 300 x 300 pix each so that you can import them into your own program. Cool styles Deb!!! Thank you so much!! Check your email, I just paid a visit to paypal for your unlimited cu license, I totally understand how you feel, I get very few comments and more often than not, none at all. I have no problem at all with purchasing a license for the opportunity to continue using your wonderful products! I may not always leave a comment but please know they are always greatly appreciated!!!! I'm glad you received so many positive comments. You are such a wonderful, generous designer! Thanks for all of the freebies. I love these Halloween styles. I'm glad you have received so much support. You deserve it. Thank you so much for all the great freebies- I just found you and can't wait to start using them. Thanks for all you do. I love your stuff. I'm just a beginner and only do my own personal scrapbooking. I have young kids and don't take the time to comment often. I apologize. You are very generous and I love your freebies. Have you done any travel oriented things? We went on a big road trip this summer and I've been having a hard time locating road signs, maps, etc for elements and backgrounds. Thanks again. Thank you! Your blog post will be advertised on the DigiFree Digital Scrapbooking Freebie search engine today (look for timestamp: 13 Oct [LA 06:00pm, NY 08:00pm] - 14 Oct [UK 01:00am, OZ 11:00am] ). Thank for the tiles. I am not sure how to use them but they are just so cute. Thanks for sharing. I donated in the past, and I only made freebies, but I'm glad to pay the 20$ to thank you for your generosity all along the year. I love your freebies,Thanks so much for this awsome one again!! Cool styles Deb and I don't think charging what all that you do is not much to ask for. I enjoy coming to your site, thou I don't always comment or say THANK YOU and I know how it feels when people don't leave comments for the things that you do. I'm glad you've received so much support. Thanks for the cool styles! Hi! Thanks for the styles. I just hope I could use the patterns in PSP. ANd if I have money, I just would by the license. But at the moment I just must wait for the next payment from work. I just understand you with the comments. I just love your work! Thank you! Thanks muchly! Love the styles! Fun! Fun! Fun! Thank you!!! Fab styles - love the colours and designs - thank you for sharing! Love these great halloween styles! Many thanks for your generosity in sharing them with us! Thank you so much for this Freebie. I want to let you know that I posted a link to your blog in CBH Digital Scrapbooking Freebies, under the Page 3 post on Oct. 14, 2009. Thanks again. You are awesome in your designs, ideas and wonderful gifts. I do not design for profit, only for myself and my own use in scrapping. Always try to give credit to everyone that has contributed to my stack of scrapping items. Thanks for all you do and your generosity in sharing with us. These are so cool! Thank you! Thanks for the great Halloween Styles! I am a scrapper/newbie designer. I am in the process of designing my first kit to give away on my blog and have used your overlays on my papers, they are fantastic! I will be purchasing an unlimited license on Friday as soon as my paycheck is in my account :) Thank you for all you do, I think the licensing is totally reasonable!! These are aweosme! Thanks Deb!! Just bought your new CU licence, and totally understand your feelings. Even if I haven't used any of your items lately, I do pop in now and then to find some goodies. Keep up the good work, you are a very talented lady and deserve the credit. I really appreciate your follow up comments today. Thanks for your blog. wow! That is such a generous freebie for today!! Love them all and will definitely enjoy playing with them!! Thank you for the colorful Halloween styles. oh here is a question I hadn't thought of in my earlier post LOL ... if I want to 'gift' another designer with your CU licence can I do that? ie: Id pay another $20 and tell you which designer its for? Deb, thank you for the beautiful Halloween styles. Thank you also for your generosity in sharing your talent and creativity. 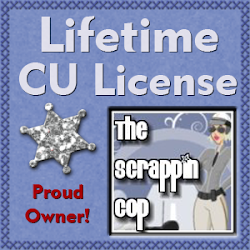 I am not a designer but I purchased the Unlimited CU license so that I may use your CU items if I make papers or elements in a kit exchange or to share with other digiscrappers. Fabulous...as always! Thanks so much! Thanks so much for the awesome frames a few posts below! You are amazing and don't ever worry about doing what you have to do to protect your items! Thanks again for the paper and frames. I just want to thank you again for all your hard work and really truly appreciate you giving them all to us to use for free. I am newly divorced and am trying to also help my sister who is a single mother, so I really can't afford anything that's just fun...money has to go other things. So I honestly, from the bottom of my heart appreciate your generosity. I only use your awesome freebies for my personal scrapbooking, but I do understand you wanting credit for those that use them for other things. It's only fair. Thank you! I haven't been to your blog in a really long time (2 much work). So many new items & changes! I don't know how you find the time. I love the tiles, thanks Deb! Thanks for these wonderful styles! Wanted to let you know I'm giving you the Honest Scrap blog award :) Just wanted to say thanks for all you do! I am one who does not always leave a comment, but I still do it sometimes. I have a rather new blog where I have been giving away some freebies that have elicited about 1000 downloads and only 2-3 comments. But as the previous poster said, I feel that anyone who downloads must like it. But I have to tell you that this week really takes the cake. 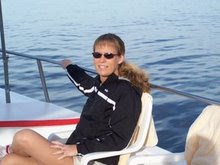 I was absent from my blog for about a week or two due to the death of my sister. I scrapped some layouts on my sister and my brother (who died last year) and posted a freebie with the layouts. I got tons of downloads for the freebie, but not one single comment on my loss. I figured that even a few people who don't normally comment might at least say "Thank you and sorry for your loss". OH, well. You make beautiful stuff and I will purchase your CU license as soon as I can afford it. Thank you for all your hard work. Thank you so much for all your hard work. I just found your blog a few days ago so I'm sort of overwhelmed by your awesomeness! Thanks again! Your tiles are just awesome. They come in handy soooo many times for me! And I adore how little space they take up on my hard drive. You are a genuis! Merci beaucoup, c'est génial! Thanks so much for these great freebies. Thank you, these are so cool. I feel very dumb right now!! I can't find the link to your commercial use license!!!!! I see the very big notice and arrow but can't find the link. :) Help!! I love your stuff and have used your charm action for CU stuff. I'd like to purchase your unlimited cu license. Well I have enjoyed your freebies, and actually haven't been creating much lately kind of in a rut, but I do love your stuff, but can't afford to pay for a commercial license to make my freebie kits, so I guess my loss is your gain thanks for all that you do. I know I am terrible about leaving comments but just letting you know that I am probably not the only one that feels this way. I have always given credit to you for any templates or items that I have used in the past, but just can't afford to pay for a license. So again keep up the good work, and have a nice day. Best $20 I've spent in ages - thank you for your generousity and talent. I luuuuurve the argyle style! It's super cute. TFS! Deb, I so understand where you are coming from. I discovered your site after you "changed the rules," and although I've downloaded your stuff, I won't use it until I have enough money to purchase a license. Great images, wonderfully executed. Thank you kindly! I just purchased your $20 CU license but didn't find a spot to type what I would use it for. I've downloaded your goodies for about a year and a half and just started designing. Love your site. Thank you so much for your beautiful designs. If you have any questions email me at artgalstyle@yahoo.com. Purchased on 7-09-10. These are just what I need!!!!!!!!!!! Thank you so much. I totalyy agree with you. I have purchased a CU license and wish you the best! I know how much work it takes to design and I hope other designers will honor your request. Thank you so much for all the work you put into these freebies you share with us. Thank you very much, these are so versatile! I really enjoy your designs. I know it is a lot of work, but for us that enjoy it, it is not really work. Just wanted to say "thanks" for all you do. Also thank you for your service as a police officer. My husband is a retired officer. If I purchase this license, can I use the product to create clipart to sell on my own site for CU? Thank you~ These are awesome! Just in case you would like to enable my "Habit" so I can buy more cool digiscrap stuff! Get Filter Forge – an advanced Photoshop plugin allowing you to build your own filters. Click on a Blinkie to Snag! Great sites for Textures - Be Sure to Check their TOUS!